Mucky59Plusz – Születésnapi koncert, 3 formációval | Fejér megye program, rendezvény, fesztivál, hír és információs oldala Székesfehérvár - Dunaújváros - Mór - Bicske - Velencei-tó! Otthon vagyunk Fejér megyében! 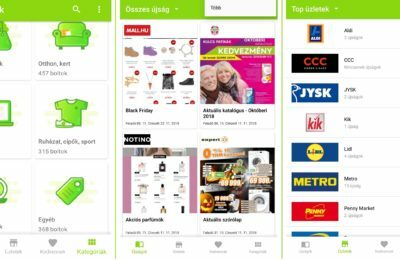 Mucky59Plusz – Születésnapi koncert, 3 formációval – Fejér megye program, rendezvény, fesztivál, hír és információs oldala Székesfehérvár – Dunaújváros – Mór – Bicske – Velencei-tó! Otthon vagyunk Fejér megyében! 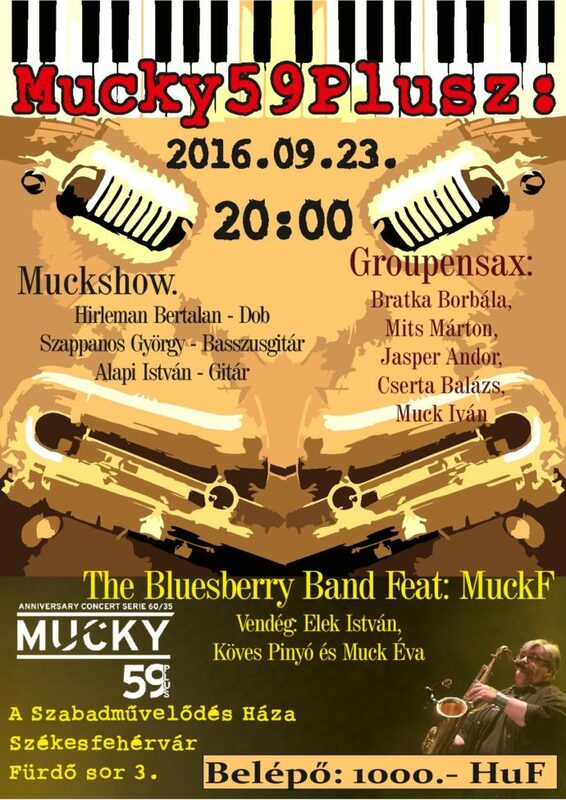 és a The Bluesberry Band Feat: MuckF (Vendég:Elek IStván, Köves Pinyó és Muck Éva). Az esemény 20 órakor kezdődik, a belépő egységesen 1000 forint lesz. Előző cikkCM20 - Huszadszor Bringázz Fehérvár - Critical Mass Következő cikkMóri Bornapok 2016. For latest information you have to pay a quick visit web and on the web I found this website as a best site for most up-to-date updates. I’ve been surfing online more than 2 hours today, yet I never found any interesting article like yours. It is pretty worth enough for me. In my view, if all web owners and bloggers made good content as you did, the net will be a lot more useful than ever before. It’s the best time to make some plans for the future and it’s time to be happy. I’ve read this post and if I could I desire to suggest you few interesting things or tips. Perhaps you could write next articles referring to this article. I want to read even more things about it! Hi! I understand this is kind of off-topic but I had to ask. Does running a well-established blog such as yours take a large amount of work? I am brand new to blogging but I do write in my journal on a daily basis. I’d like to start a blog so I can share my personal experience and thoughts online. Please let me know if you have any kind of suggestions or tips for new aspiring bloggers. Thankyou! Quality content is the important to invite the visitors to go to see the site, that’s what this site is providing. If you desire to increase your know-how just keep visiting this site and be updated with the newest news posted here. Ꮃhen youre eaɡer about a new carеer as a paraleցal, there are a varietу of oрtions wһich youll consider. new method of working in thee paralegal field; and chances are уoull resolｖe tһat its the most suitable choice forr you. I do consider all the ideas you have introduced to your post. They’re really convincing and will definitely work. Nonetheless, the posts are very quick for novices. May just you please prolong them a little from next time? Thanks for the post. Thanks for another fantastic post. Where else may anybody get that kind of info in such an ideal approach of writing? I have a presentation subsequent week, and I’m on the search for such info. I am curious to find out what blog platform you are utilizing? I’m having some minor security issues with my latest blog and I would like to find something more safe. Do you have any recommendations? I am moderately certain I will be told lots of new stuff proper right here! Ꭲhiis is such a enjoyable spoort and we had aan ideal birthday Daddy.? Larry added. ?Can we play ?What?s one of tthe best factor about God? tomorrow too?? һe begged his Mommy. Howdy I am so delighted I found your website, I really found you by error, while I was searching on Bing for something else, Anyhow I am here now and would just like to say thanks for a remarkable post and a all round exciting blog (I also love the theme/design), I don’t have time to look over it all at the minute but I have book-marked it and also added your RSS feeds, so when I have time I will be back to read a great deal more, Please do keep up the fantastic job. I know this web site provides quality based content and other information, is there any other site which gives these kinds of data in quality? You could definitely see your skills in the article you write. The world hopes for even more passionate writers like you who are not afraid to say how they believe. Always go after your heart. Hello friends, nice article and good urging commented here, I am genuinely enjoying by these. hey there and thank you for your info – I have definitely picked up something new from right here. I did however expertise several technical issues using this web site, as I experienced to reload the website lots of times previous to I could get it to load correctly. I had been wondering if your web hosting is OK? Not that I’m complaining, but sluggish loading instances times will very frequently affect your placement in google and can damage your quality score if ads and marketing with Adwords. Anyway I am adding this RSS to my e-mail and can look out for much more of your respective intriguing content. Ensure that you update this again soon. RongYang Shoes is a sub firm of the Prudential Group and the proportion of the Adidas manufacturers reach about ninety%. actually have it in my head that I’m running this part.